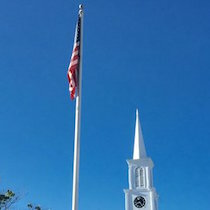 POCKET TOWN GUIDE: Newmarket, New Hampshire! 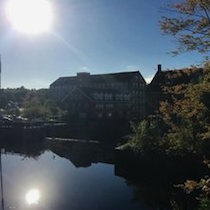 I’ve lived on the seacoast my entire life but have no memories of going to Newmarket, so it made for an extra special surprise upon my arrival when I realized just how fabulous it is! 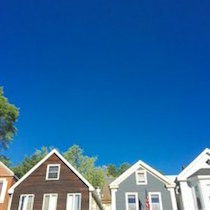 I visited Newmarket early in the morning, as the town was still waking up. The sun cast a bright smile on the massive stone buildings while the morning mist gracefully rose from the river. The main street of Newmarket was quiet, yet lively with locals driving to work, popping into the local coffee shop (Crackskulls), and fueling up with breakfast at The Big Bean (definitely the place to be)! 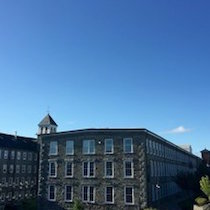 Historic architecture indicates a storied past while revitalized mill buildings and industrialized plazas predict a flourishing future for this sweet town. –Joinery: Farm to table dinner and Sunday brunch. –The Big Bean: Gourmet breakfast and lunch. –Deciduous Brewing Company: Local boutique brewery. –Crackskulls: A small-town coffee shop with a 60’s book nook feel. It serves White Heron Tea, which is always a treat! –Bloomin’ Cow Ice Cream: Handmade ice cream and gelato… looks delish! -*Coming Soon* Horseshoe Cafe: Looks like an amazing coffee shop via its Instagram feed! –Take a stroll by the river! 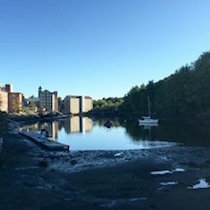 Watching sailboats sit silently on a quiet morning downtown was a beautiful and unexpected surprise. –The Stone Church: Live local music venue – can’t wait to visit at night! 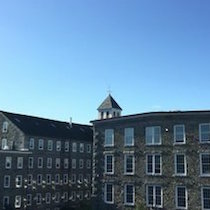 –Baileyworks – I always wondered what happened to this once Portsmouth-based business, and was thrilled to see that Baileyworks is still making its specialty bags on the seacoast. 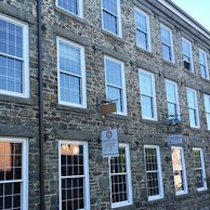 The business has a storefront in the revitalized mill building. 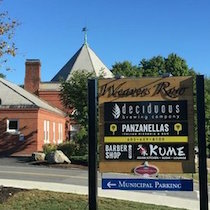 –Newmarket Yoga: The colorful sign and location in the mill building makes me just think this place is wonderful. 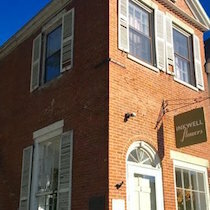 –Inkwell Flowers: Peeking into the shop, it looks adorable, and their website only confirms this notion! 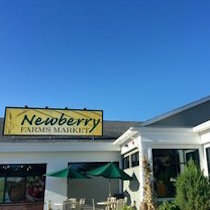 –Newberry Farm Market – Feels like a mini Whole Foods! –Read! 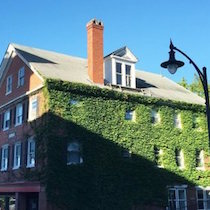 Like many towns throughout the seacoast, there are many plaques scattered about that share the historic significance of Newmarket’s historic landscape. 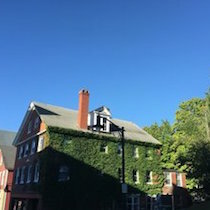 Newmarket is a historic town with modern flare, situated about 10 miles away from its neighboring towns of Exeter and Durham. Driving here at this time of year was half the fun, as the picturesque farmlands with a hint of orange in the landscape had me mesmerized. Do you have some favorite things to do in Newmarket? Comment below so we can check them out!